The Video Game Voters Network has launched a campaign urging California Governor Arnold Schwarzenegger to halt his appeal of the recent court decision which overturned a law banning the sale of violent videogames to minors. 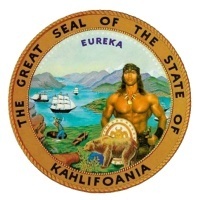 According to the Stop Schwarzenegger website, the Governor is "completely disregarding the Constitution, court rulings across the country, and the ESRB's successful progress in education parents"; further, the appeal is destined to fail due to the blatantly unconstitutional nature of the law, resulting in a pointless waste of taxpayer dollars. It suggests the focus should instead be on parental education, as well as continued support for the ESRB in its efforts to provide accurate rating information in order to help parents protected their children. Similar laws in other states have proven expensive to taxpayers in the past: A House committee determined in May that Illinois Governor Rod Blagojevich spent almost $1 million unsuccessfully appealing the overturning of a law restricting the sale of videogames, part of which was paid for with cash drawn from other State programs; and in Louisiana, the State was ordered to pay the legal fees of the Entertainment Software Association after videogame legislation was struck down on the same grounds. In that ruling, Judge James L. Brady issued a scathing rebuke against everyone involved in the creation of the law, saying, "In this court's view, the taxpayers deserve more from their elected officials." Although the law originally passed in 2005, an injunction soon after its passage prevented its enforcement. Despite it being declared unconstitutional on First Amendment grounds, the governor responded to the ruling that struck down the law by saying, "I will vigorously defend this law and appeal it to the next level." Although he has served as the Governor of California since 2003, Schwarzenegger is best known for his starring roles in violent action movies, including Kindergarten Cop, The Last Action Hero, Batman & Robin, and Terminator 2, a hyper-violent thiller about a bloody clash between two highly-advanced automatons of death from the future that starred 14-year-old Edward Furlong.